We are updating our website for our margarita machine rental customers. 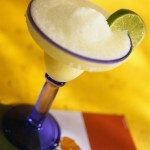 We are making our margarita machine rental pages more user friendly. So far our new margarita machine rental pages include Margarita Machine Rental Fort Worth, Margarita Machine Rental Mansfield and Margarita Machine Rental Southlake. When you want to rent a margarita machine,we deliver to most of the Dallas / Fort Worth Metroplex Too. For more information on our margarita machine rental packages. This entry was posted on Saturday, March 10th, 2012 at 6:36 am	and is filed under News & Updates. You can follow any responses to this entry through the RSS 2.0 feed. You can leave a response, or trackback from your own site.